FREE Small Coffee At Corner Bakery Cafe! 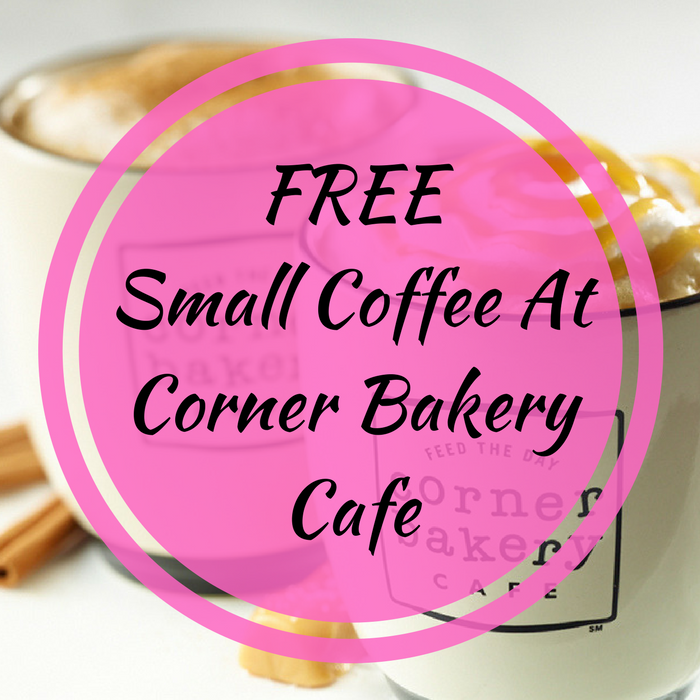 You are here: Home / FREEbies / FREE Small Coffee At Corner Bakery Cafe! Calling all coffee lovers! 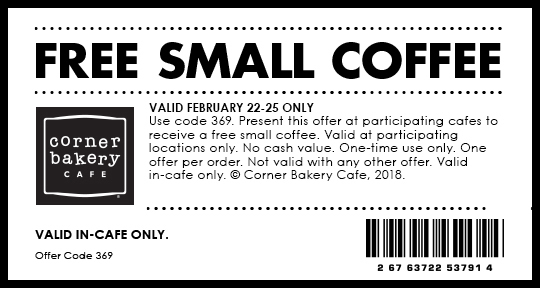 Until February 25, Corner Bakery Cafe is offering a FREE Small Coffee – no purchase necessary! All you need to do is print this coupon or show it on your phone. So easy!